The main objective: to provide the necessary agricultural products throughout the year at low price and high quality which achieves high sales. Activities: 1- Establishing 10 protected houses for growing the most needed vegetables in the Yemeni food basket (cucumbers, tomatoes, legumes, ) throughout the year. 2 - The establishment 4 protected houses to grow the agricultural seedlings of different plants to provide for the rest of the farmers throughout the year. 3-Constructing a modern irrigation network to ensure that water is provided with the correct quantities for irrigation, so it can be saving water. 4 - Work on marketing products in modern ways to ensure the spread of products in the largest possible geographical area. This project will make use of the natural resources available through the establishment of 14 protected houses for growing vegetables, which are important and consumed daily, by using modern ways in order to ensure the increase of outputs with savings and reduction of inputs, as well ensuring the availability of these products throughout the year and keep the price low to make it easier for the poor to buy, unlike what is currently the case since these products are seasonal, poor quality, high price and poor people can not afford it , so this project got many advantages of our modern agricultural vision: - Savings in production cost by 35-50% - Increase production and financial returns. - Controlling in the using of water and nutrients which saved 60% of the water used in traditional agriculture. - Decrease in the need for labor by about 50%. - The possibility of developing a precise program of production, which facilitates the pre-marketing and marketing processes. This project directly supports SDGs, as it relates to the main objective (Zero Hunger) because it provides high quality products with low prices so that poor people can buy on a daily . It also directly serves the goal of conserving and sustaining water resources because it follows a modern irrigation system In the amount of water used for irrigation process, as well as the preservation of the soil and protect it from damage due to the excessive use of fertilizers and pesticides. This project also supports the development objectives indirectly through: Contributing to the sustainability and growth of the local economy, so it can establishment of manufacturing industries based on the products of this project, such as the manufacture of Tomatoes sauce, and also provide multiple employment opportunities, and this project can be implemented in multiple places, to get the community development. The success of this project depends on an advanced system of monitoring and evaluation, the project will follow the continuous monitoring system for all stages of agricultural operations and productivity in order to reach the planned quantity of production and provide products in the market in a balanced manner. We have a plan for future development by investing the financial revenues to establish modern farms in different areas. We also plan to establish industries based on the products of this project over the next three years, and we are currently providing technical advice to the rest of the farmers in different regions of Yemen. I was born on October 12, 1987 (31 years old), Currently I'm studying for MBA "Impact of crisis management on small projects " in the University of Science and Technology.I have worked in a number of businesses in Yemen and have held business deals in China, Malaysia and Indonesia. I have participated in a number of international events such as( Future of Economic Development in Egypt and the Middle East Conference in 2014 at the American University in Cairo, also safirlab program in Paris France 2016), I have a passion for business, productivity and community service, where I established a non-profit organization "YOUTH FOR HOMELAND" that aims to serve the community during the year 2014 and achieved tangible success with projects amounting to one million dollars during the period 2014-2017 with partnership with INGOs. 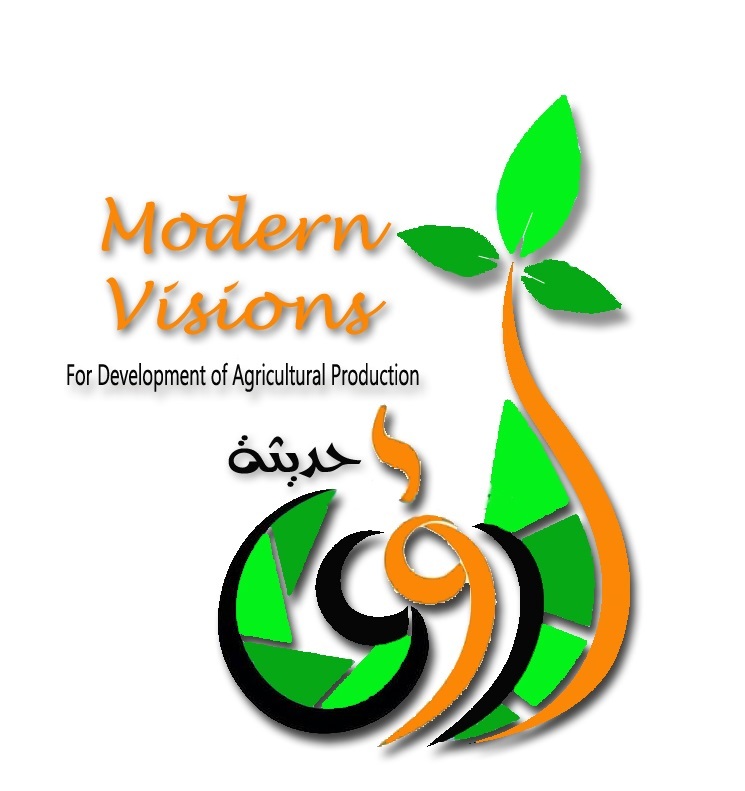 I have established also this project "Modern Visions for Development of Agricultural Production" in cooperation with agricultural engineers specialized in modern agricultural operations and we have obtained all official licenses to start work. I have the motivation to see investment opportunities despite the current conditions in Yemen, as I believe that productive business is the key to sustainability and development. Congratulation for you being the Finalist The Best Project 2018..I hope you can achieve your dream!! Hi Abdullah , finally, you reached the end of the competition. I expect your project will win because it is one of the most important projects to combat hunger. I wish you good luck . Dear... thanks a lot for your comment and support. I wish you all the best and hope to see your idea implemented , never give up my friend. thankyou so much for your comment and support through this wonderful competition , I hope to keep our communication after this competition ends . this is not mean the end of rood to success we will keep working, anyway I like your idea and I will vote for it today , I wish you success and your project becomes successful. I like your idea and I will vote for it today , I wish you success and your project becomes successful. I wish you the best in your project and I hope that we'll keep in touch as members of the this campus, even after the competition. I have learned the need to adapt the idea with the variables, and indeed there was a set of proposals and I am currently studying them in order to choose the appropriate ones to apply to the project, I wish you success and your project becomes successful. I wish you the best too in your project and sure we'll keep in touch as members of the this campus, even after the competition. many thanks for your support and your words it's give me more power , I wish to see your idea become true it will helps a lot of people around the world. Those are very cool words thankyou,for your interest and support for my project. Dear Abdullah I found your project very inspirational like many projects here. For me this was meaningful experience and I found out so many different fields. Your project is very thoughtful and practical, for me as musician everything is clear in your plan. Wish you all luck in realization. hey ABDULLAH,IN EVERY PART OF THE WORLD YOU GO MAJORLY IN LDC AND DEVELOPING COUNTRIES, AGRICULTURE EMPLOYS 80% OF POPULATION. BUT THEN TOO OUTPUT PER HECTARE IS LOW AS COMPARED TO THE DEVELOPED COUNTRY PER HECTARE OUTPUT.THIS RESULTS IN LOW WAGE FOR THE FARMERS AND IN INDIA THIS ALSO LEADS TO FARMER SUICIDES.GOOD LUCK AND THANK YOU AGAIN SO SO MUCH FOR YOUR ENCOURAGEMENT.YOUR PLAN WILL ENHANCE OUTPUT FROM AGRICULTURAL LAND. I WILL CONTINUE TO SUPPORT YOU THOROUGH COMMENTS AND VOTES.TC!!!!!!!! thanks a lot for your comment , I so proud of you , I will continue to support yours by voting every day until the deadline and after this competition ends . thanks a lot for your comment , I 'm so proud of you I like your great work and I'm sure you will get your goal one day, I will continue to support yours by voting every day until the deadline and after this competition ends . thanks a lot for your comment , I very happy to meet you too through this competition, I will continue to support yours by voting every day until the deadline and after this competition ends . Thank you for your support and comment , I think agricultural is the save future for all people around the world we should work on it.I will continue to support yours by voting every day until the deadline and n after this competition ends . thanks a lot for your comment, I will support you too until last day in this competition, we should work to serve our communities as we can. Thank you for your support .I will continue to support yours by voting every day until the deadline and n after this competition ends . Thank you for visiting my page and sending your words of encouragement. I am more than happy to show support for you, too. Your idea is great. Thank you for commenting on my idea I really appreciate it. Remember you can do great things with the skills you have to tell others. My project already includes three aspects: providing community service by providing needs and working to eliminate hunger. The project also achieves profits through large sales, as well as conserves the environment by conserving soil and providing water. Is this enough? thankyou so much for your comment . yes we should never give up we have to work more and more to get the success. I hope to see your idea become a project , wish you all the best too. Thank you for your encouragement. I am delighted to participate in this competition because I know creative young people like you. In fact, I have a plan to continue the project after this competition. Perhaps I will market the project more broadly. Thank you so much for your quick response to me. Many thanks for your information about platform for crowdfunding...I hope our connection not only stop in this competition but going onward. I hope the best for your project and can achieve your vision too. The first I want to say thank you for your comment and response in my idea, Eco-Creativephoto Studio. And about your question, I want to try to answer. For initial capital to make my website (EC-STUDIO) comes from my own, while for the next development that website I will looking for crowdfunding platform and grant. 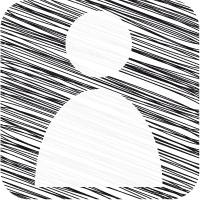 I have vision to make my platform can use in smartphone so I must have a lot of fund to implement that vision. I'm sure you will get your dream just keep your great work on it and you will get it.I just voted for your idea and I will do the same every day until last day for voting. thankyou so much again for your comment. your words made me more determined to achieve it's goal. My expectations are to find a source for financing the project in full and at the same time until all of its objectives are achieved. What about you? thnkyou so much again for your comment. I appreciate your support for me too.I still continue to support yours by voting every day until the deadline and n after this competition ends . I appreciate your support.I will continue to support you even after this competition ends as your idea of 'modern vision on agricultural development' is one of the kind.Agriculture employs nearly 80% of the Indian population but is just 20% of India's GDP.This plan of yours can fully be implemented in India.Thank you for your support.Means a lot. we are now a company registered and our next step is to find fiance support to lunch our project, what about you my friend? I hope to see your idea be come true. thankyou again for your comment. It is a great pleasure to share experiences and opinions with you and the others, which will contribute to the success of our ideas together.I voted 3 times for your idea and will do it again. It is a great pleasure to share experiences and opinions with you and the others, which will contribute to the success of our ideas together. when this competition an over we will go a head to find the financing support we can't wait. my business plan is simple 1- Establishing 10 protected houses for growing the most needed vegetables in the Yemeni food basket (cucumbers, tomatoes, legumes, potatoes) throughout the year 2- The establishment 4 protected houses to grow the agricultural seedlings of different plants to provide for the rest of the farmers throughout the year. 3-Constructing a modern irrigation network to ensure that water is provided with the correct quantities for irrigation, so it can be saving water. 4 - Work on marketing products in modern ways to ensure the spread of products in the largest possible geographical area. now there is no any sponsors but I will work to get some. I have read your project carefully and I think that you have chosen one of the most important issues that affect many developing countries: developing and agriculture targeted to feed the citizens. I think that focusing on products such as legumes where Yemen can have a comparative advantage comparing to other countries could work. I like the overall idea of producing high quality product and make them accessible to the people at an affordable price, however; I would like to know (since you registered your company) what your business plan is, what is the innovation that you bring and what were the first steps you took to develop this ambitious idea. Do you have any sponsors? Are you co-working with any big company? You seem to have great experience and capabilities in this field, Congratulations and good luck! thankyou so much for your comments, yes we will get partnership in order to go further in the implementation of our ideas. the key factor of my innovation is Combine profit-making and community service. b- Agricultural Engineers ,Marketing Offices, Government agencies, Media organizations. I hope you are doing well. I was going through your idea. I really enjoy reading it. Your idea is amazing and sustainable. However I have a question regarding your idea. many thanks for your comment and support. the difference between my projects and others is that my project combining between two goals - profit and community service - as charitable work at the same time. You will find more information through your reading of my project. yes we can and we have a plan to empower local farmers, if you go through my project you will find how we will do that. Lovely project. Can you find a way to empower local farmers through groups to grow this vegetables so that the whole community is empowered? This will have some social impact in addition to selling to communities the vegetables. many thanks for your comment and support.we will smile at the end i hope so. I wish you more success and good luck , be sure I will vote and comment for you. my plan to develop your project in the future is to establish modern farms in different areas. We also plan to establish industries based on the products of this project over the next three years, and we are currently providing technical advice to the rest of the farmers in different regions of Yemen. A very useful project .. Working to solve the problems facing the agricultural sector helps in achieving the goals of sustainable development .. What is your plan to develop your project in the future? one part of my project is educating the farmers and encouraging them by probably helping them get farm incentives. Hello Abdullah Alsuraihi! Hope all is going well. I like your idea of making food available to all through modern ways of practicing agricultural production. Hope your Project isn't capital intensive. I advice you to focus more on educating the farmers and encouraging them by probably helping them get farm incentives. The culture of modern agriculture should also be encouraged among children and Youths to enhance a standing legacy and provide food for all. Well done! I just voted for you today and will continue to support you my dear friend.Good luck to you dear.Zero hunger if achieved means every person in this world will have enough money to eat meals 2 times a day and will not sleep hungry.You can support me by voting, commenting and sharing with your friends and families by clicking on the link-. This's an unique project and wonderful idea , agriculture in greenhouses is an important way of producing off-season vegetable crops, increasing vertical production in the unit of cultivated area, as well as ensuring the requirements for plant growth in terms of control of climatic conditions for the growth and production of plants such as heat, humidity and ventilation and the possibility of mechanization of agricultural processes of soil and crop. The specifications of the products are good, as they are more drought-proof and less polluted by soil, etc., which helps to consume the whole, which increases the profit of this type of agriculture. The unit productivity of the area is much higher than that of agriculture. thanks a lot for your comment, I passed several stages until I reached this idea, where I analyzed the needs of the Yemeni market, studied the resources available and consulted with experts and specialists in the field of agricultural and agricultural engineers. We have an official office, our team consists of a group of experts and consultants in the agricultural and administrative fields, but funding is still an obstacle to our success. I've gone through your project and I find it interesting and innovative. I'm my country sometimes, scarcity of some of this agricultural produce do occur which leads to inflation in prices of this produce. I see the concept of your project, And I voted for it also. Thumbs up bro! and I'll like us to be partners. You can message me for your response. I like your concept and i strongly believe it will go far as agriculture is currently the way to go in Africa now with that being said, i definitely see your idea going far. I would like to wish you all the best. I like your concept and i strobgly believe it will go far as agriculture is curretly the way to go in Africa now with that being said, i definately see your idea going far. I will like to wish you all the best. thnaks a lot my friend for your comment and your feeling , I wish success for you too, about the financial support there are ways to get that from private organizations , but the government does not providing any financial support, I have a plan and we will see after this competition is over, what about you? I am glad to know your vision for the future.. I pray that you will reach your goal accordingly. Did you receive any funding or financial support from the government/private organizations to scale up your project? many thanks for your vote and comment and be sure I will do the same for your idea, I really appreciate your interest and support for my project. in 5 years We have a plan for future development by investing the financial revenues to establish modern farms in different areas. We also plan to establish industries based on the products of this project over the next three years, and we are currently providing technical advice to the rest of the farmers in different regions of Yemen. I have just voted for this idea in appreciation that I love the idea and I also want to support you in my own way possible. Ife there is anything else I can do to help you please do not hisitate to ask. Thanks. I really appreciate your interest and support for my project. Thank you very much. I have looked at the link and found it contains important information that we will study and benefit from. The first axis focused on building the capacities of agricultural cooperatives in the management of cooperatives and good agricultural practices (GAP) to stimulate agricultural production of the following valuable products: tomatoes - cucumber - eggplant - sweet pepper - free pepper - .to facilitate the application of appropriate agricultural processes. The second axis focused on the follow-up and implementation of good agricultural practices (GAP) in order to increase agricultural productivity and improve the quality of the product. This axis stimulates the use of resources and productivity as well as increased incomes of farmers. The third axis facilitates the entry of valuable products to the market, raises the competitiveness of products in the market and enhances the capacity of farmers to meet market opportunities and needs. This focus also focuses on strengthening the marketing infrastructure and obtaining the right marketing information to develop the marketing concept of the agricultural producers. first thanks a lot for your comment. second yes I have one, we did a complete study which including Financing thing as well Marketing and technical aspects , I can share with you some information about it . do you know that the marketing feasibility study is one of the most important studies that can be done on the project and depends on the results of the decision to continue the technical and engineering study or stop and search for other alternatives to the project.so what about Modern Visions for Development of Agricultural Production's easibility study? do you have one? We are proud of your progress, all the team members support you, we wish you the best of luck and continue to reach your goalany thing you need just let us know . key factor of my innovation or the secret is a combination of a combination of elements: market needs, innovation in agriculture, marketing plan, etc. In the next three years, I expect the number of greenhouses to double, as well as the start of industrial processes of food products that depend on current products as raw material. many thanks for your comment, yes we all need to work hard to solve the hunger problem our communities are safariing,,I will vote for your project . These an important note , I will take these tips into consideration, thank you very much for your interest and support for my project, but if you got any website please share it with me. "The watermelon plants usually produce 1-4 of the fruit during the harvest season, but a new variety developed in China by China's agro-technology company resulted in the production of a melon plant of at least 131 fruits, which earned a Guinness World Records . It seems that the Chinese have innovated in the development and development of super-plants. Only a few weeks after the development of a tomato tree that raises more than 30,000 fruits during the harvest at once, the "Melon King", a new breed of melon, Fruits. The supernatural seedlings were developed at Zhengzhou Research and Technology Center. The most productive plant is more than 100 fruits in just 90 days." This was a text adapted from the page of my friend, abstract you should look at new innovations in the world of agriculture, search for agricultural companies in East Asia they have new experiences and methods. 1 - you should make the best choice of land on which you will build your greenhouses. 2. you have to check the soil quality. 3. Make sure that the water source is continuously available. 4 - Make sure the network marketing and distribution are good enough. 5. Never use industrial fertilizers. 6. Make sure there are no other factories around your project at all. Your project is amazing.It will be an important step to fight world hunger, poverty and unemployment too.The use of more natural products will help in improving food quality and hence people"s health.Thank you so much for your comment on my idea and All the best for your project. we would love to tell you this is a wonderful project. we also suggest that if you think about hydroponics, it is a revolution in modern agriculture where you can cultivate without the need for soil. This means that you will not need large land areas. While I'm reading your Sustainability and future plans I noted that your project can be establish industries based on the products of your project, can you give more details about that? Your idea is very helpful basically for the poor people and also inspiring. So today I voted for you. Please also give your valuable vote on my idea and support it. It is a great idea that will help alot of poor people to afford to buy food, which is a necessity of life. It is not just a nobel idea, as in the long turn it will help the economy of Jordan too. As the standard of living will improve so will the citizens motivation, strength and moral. Keep up the good work and hope this idea of yours help to contribute in the eradication of world hunger in the future! Excellent project. You have a project with the goal of providing agricultural products at a low price, so that consumers benefit from those prices and get good quality goods. Very useful also to help sustainable food supply. Good luck. Best of luck to your project. 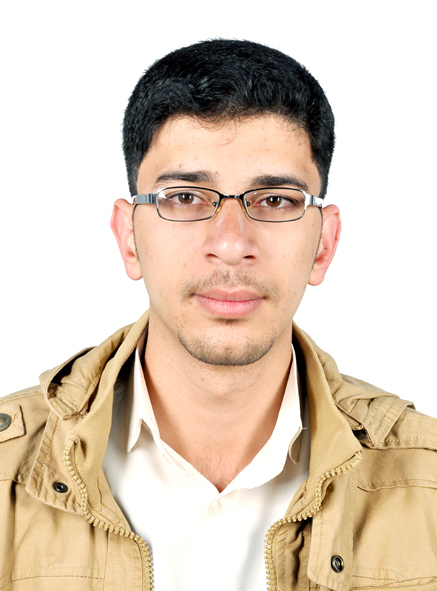 Yemen is agreat Country and needs more active entrepreneurs like you. Keep the good work until reaching Zero hunger phase it is achievable with hard work and persistence. dear Yeshwanth, thanks alot for your comment. It is great to see that our young generation, is eager on developing the agriculture status across the world. Your idea, will go places as people are ready to eat but not ready to harvest due to the scarcity of resorces and lack of awareness and if your idea gets materialized then this can be curbed and increase our production. Abdullah , we feel grat to see your progress is going on . let us know if you need some help. yes "Together we will make life easier"
Wow! It is said that the simplicity of a business model is a major element towards an entrepreneur achievement. The simplicity of your idea makes it visible and attainable. Your sustainability plan too is also SuperB. I hope this works out well. Great job in working toward Sustainable Development Goal 2 (SDG 2); Ending hunger, food insecurity and malnutrition for all, especially the poor. You'll most likely need investor's in agriculture, including the government to come on board to increase the capacity of agricultural productivity you aim to achieve. Great idea let save lives through giving the farmers the right information to farmers. Farmers needs you your much and the world need you for quality food security. our main goal is : to provide the necessary agricultural products throughout the year at low price and high quality, as well ensuring the availability of these products throughout the year and keep the price low to make it easier for the poor to buy, and there are sub goals come after you will find them when you go through details page up, anyway i will be happy if you can give me some suggestions for that. any way thanks alot for your comment and support. Your modern agricultural vision looks good and impact on sustainable development, too. It is now become necessary to produce food in different ways to achieve SDG's goal Zero Hunger. Great job you're doing in ensuring food security. Hunger is a major challenge in most developing countries now. I have seen your project. I am very interested in protected homes. There is a question: How much water can be saved in your project? Compared to open farming? To eliminate zero hunger we need food. So your idea explain the different steps that what you will follow and its also quit similar with green house. Keep it up !! Great !! what is the average cost to build one protected house?? thanks alot guys your comments much helpful it push me to continue my work,our economy needs more projects to be a safe said for all people, this project can support the economy through the outputs , as we think. The project will have high impact on the economy and youth development. It also encourages more innovative ideas by youth. Supporting such projects is definitely a high value-adding investment.